Parking is limited so please park beside the post boxes on Wilmot and walk up the 50 feet to the studio. This is such a different year from the last ten holiday shopping seasons. Since 2006 I have been ramping up to warp speed in September with frequent firings, pottery packing parties and endless driving to shows. 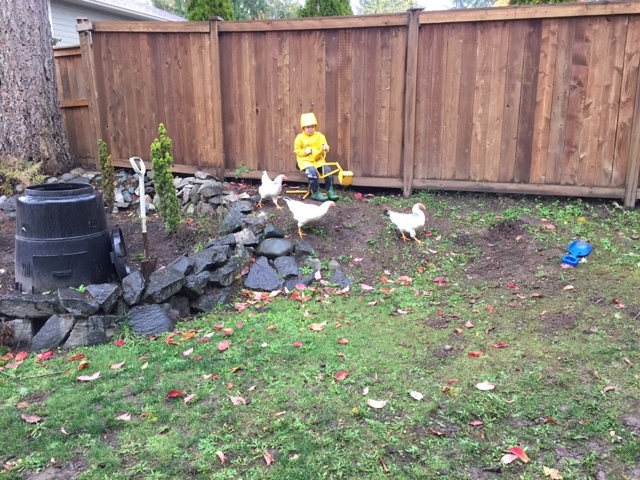 (I can't haul enough pots for a craft fair on my bicycle trailer) This is the first year I have taken things easy and decided that I will remain calm and allow space for my little toddlers inside the craft fair show circuit. It turns out that that looks like one craft fair (Christmas Chaos under the big stick in Duncan) and an open studio sale. Knitting bowl dipped in glaze but not fired yet; neat light and shadow. Since moving out to Cowichan Bay, I have fallen madly in love with my new studio space. I have several major differences that will finally allow me to host the open house at home. My old studio was inside three doors, which was fine but I didn't want to have customers in the way of the suite occupant. 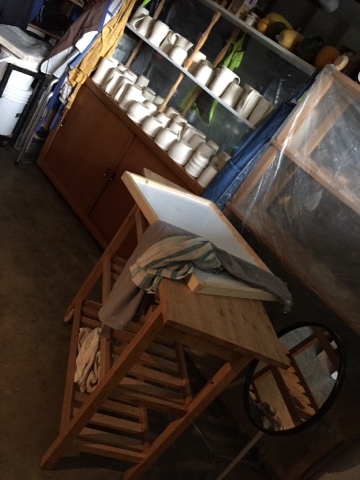 The new studio is larger in that all the sections are all together (previously I had a throwing studio/glaze area/gallery space/kiln space all separately) so I will strip out the extraneous studio equipment and put up a nice display in my working studio. The hall rental fees will be used on advertising instead so I can reach lots of people (the clements centre became unavailable a few years ago). 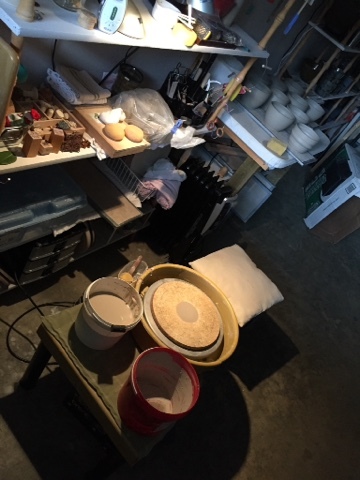 An open studio sale can be really fun and it allows me to be active in the studio while the show is on so I can make a few pots or do studio chores. 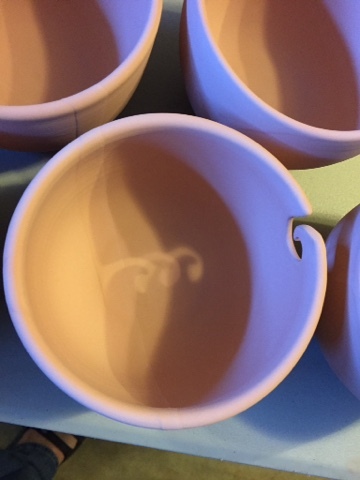 The best part is that I take 10% off all the pots in the sale!